What does a CAAASF accreditation guarantee? The goal of the Canadian Association for Accreditation of Ambulatory Surgical Facilities is to ensure the public’s safety. A CAAASF accreditation indicates that a private facility either meets or exceeds the standards of a hospital in terms of patient safety and care. 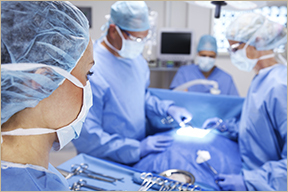 A CAAASF accreditation ensures that your surgery is being performed in a safe environment specifically designed to meet your surgical needs. Surgery performed at a CAAASF facility must be completed by a fully qualified surgeon who is certified by the Royal College of Physicians and Surgeons of Canada. The surgeon must be eligible to perform the same surgical procedures in an accredited hospital. This prevents surgeons from providing patients with surgeries they are not qualified to perform. Only an anesthesiologist certified by the Royal College of Physicians and Surgeons of Canada is able to administer general anaesthetic in a facility accredited by the CAAASF. The anaesthesiolgist must remain at the facility until the last patient of the day has regained full consciousness. All assisting personnel responsible for direct patient care must also be certified for their role within an accredited facility, as they would be in a general hospital. A copy of their current license and CPR training must be kept on file. They must be current members of their respective organizations. These personnel must all have full knowledge of the surgical procedures being performed and be approved by a qualified surgeon. Staff have ACLS (Advanced Cardiac Life Support) training as required. An accredited facility must have adequate space and equipment to ensure the safety and unimpeded transport of its patients. Proper lighting, flooring, and smooth walls that can be easily cleaned and disinfected are also stipulations of accreditation. The facility must be kept neat, clean and free of waste material. At least one operating room must be used exclusively for surgery and must safely be able to house the operating table, anesthetic equipment, monitoring equipment and personnel. The space must be adequate in size to accommodate emergency personnel and their equipment in the event of an emergency. An emergency power source must be readily available to provide the capacity to operate essential equipment and provide necessary lighting for at least four hours. This power source must be tested on a weekly basis. A certified anaesthetic machine must be present in the facility. A CO2 analyzer must be properly attached to the equipment. There must also be an inspired O2 monitor with an alarm for low O2 concentration. Equipment required for the administration of anaesthetics must be kept clean, properly maintained and readily available. 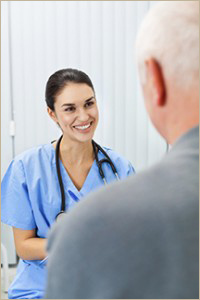 Patient monitoring equipment must include a blood pressure apparatus, E.C.G. oximeter, and a defibrillatior- all of which must be tested on the day of and prior to surgery. Resuscitation equipment must be present and readily available. Endotracheal tubes, airways, laryngoscope and oxygen sources with positive pressure capabilities must be on hand. An eight hour supply of Oxygen in tanks must be available at all times. To maintain accreditation, member facilities must provide evidence through written reports and facility inspections that the standards set by the CAAASF are adhered to in the day-to-day workings of the surgical unit. 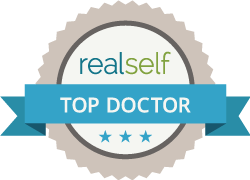 Barr Plastic Surgery is one of the sixty seven CAAASF fully accredited surgical centres existing in Canada. Having been accredited since 1999, we have never wavered in our dedication to maintaining and exceeding the high standards set by the CAAASF. Prior to 2010, no provincial organization had the authority to regulate out of hospital premises. 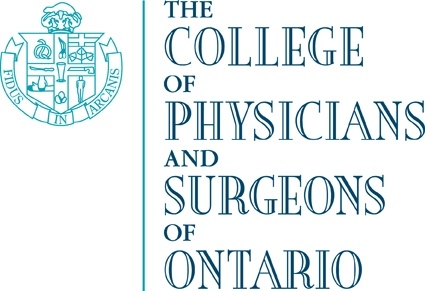 The College of Physicians and Surgeons of Ontario worked in collaboration with the government of Ontario to develop the Out-of Hospital Premises Inspection Program. Always an advocate for the highest level of patient safety, Dr. Scott Barr was an active member of the Out-of Hospital Premises Standards Pilot Task Force. 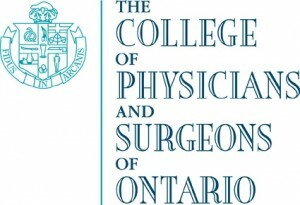 With the support of the Ontario government, the College gained the authority to inspect out-of-hospital facilities. This past spring, the College met the milestone of having inspected all 209 of the out-of-hospital premises that existed when the regulation that enacted the inspection program came into force. To date, 251 facilities have been inspected. Out of 251 inspections, 178 facilities passed, 64 passed with conditions, and 9 failed. Barr Plastic Surgery passed its inspection in the summer of 2012. Since opening its doors in 1999, patient care and safety has always been the top priority of all personnel to ensure the highest quality of care, comfort and aesthetic outcome for our patients. To view the College’s full report on the findings of the Out-of Hospital Premises Inspection Program, refer to the following link. To view Dr. Barr’s CTV interview on the Out-of Hospital Premises Inspection Program, refer to the following link.